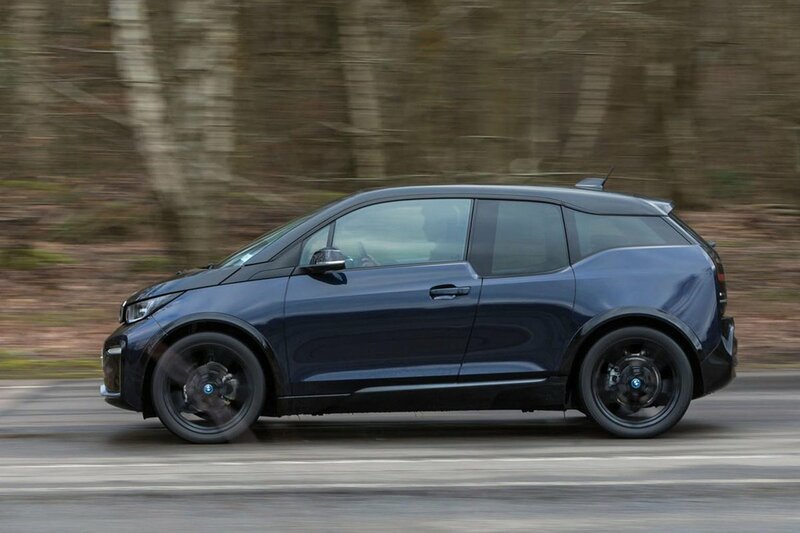 BMW i3 Performance, Engine, Ride, Handling | What Car? Regardless of whether you choose the regular i3 or the sportier i3s, an electric motor sends its power to the rear wheels. That's unusual because the vast majority of electric cars are driven by their front wheels. The regular i3 has a healthy 168bhp, enough to whisk you up to 62mph in 7.3sec and making it a doddle to keep up with fast-moving traffic. 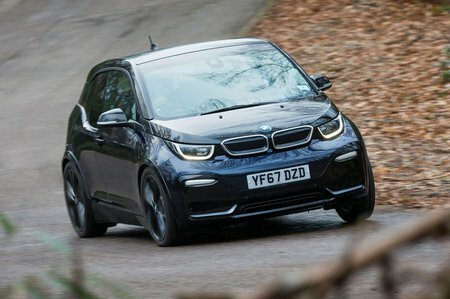 The i3s is even faster thanks to an extra 13bhp and feels extremely nippy around, hitting 62mph from a standstill in just 6.9sec – you'll find it hard to resist embarrassing petrol and diesel cars away from the traffic lights. Electric car performance isn't just about how quickly you can get up to speed, though – it's about how far you can go between charges. Officially, the more powerful i3s can manage 175 miles while the regular i3 can do 181 miles. However, BMW says 160 miles is more realistic. We've yet to put the latest i3 through our independent Real Range tests, but there's little doubt that rivals such as the Kia e-Niro and Hyundai Kona Electric will manage considerably more miles between charges. The engineering brief for the i3 was clearly to prevent this fairly tall, narrow car from swaying about through bends, so the suspension has been set up to be quite firm. Even on standard 19in wheels, you'll notice plenty of thunks and bumps along pockmarked urban roads. The ride on the optional 20in wheels (standard on the sportier i3s) is, unsurprisingly, firmer – although comfort was improved markedly during revisions in 2018. Put simply, it's no longer an uncomfortable choice, but rivals such as the VW e-Golf, Nissan Leaf and Kia e-Niro still smooth out surface imperfections notably better. It may be an electric car but the i3 is still a BMW at heart, and the company's engineers have managed to make it feel surprisingly responsive and agile for something mostly designed for town use. The steering has a consistent, satisfying weight to it and a tiny turning circle helps make the i3 ideal for the urban fray. You'll be amazed at its manoeuvrability in tight spaces; this is a car perfectly suited to slipping into tight parking spots and winding up multi-storey car parks. However, at faster speeds, the standard i3 can feel a bit twitchy and nervous, so it isn't quite as fun to drive along a twisting country road as you might imagine. It tends to skip and hop over mid-corner bumps, and the relatively skinny tyres don't grip the road with much tenacity. Thankfully, the i3s goes some way to correcting this imbalance. A 40mm wider rear track (the distance between the wheels), 10mm lower ride height and specially tuned springs, dampers and anti-roll bars ensure this sportier version stays flatter through bends and feels generally more composed during quick changes of direction at speed. And, thanks to wider tyres, there’s less of the skipping and pogoing that you notice in the standard car. The i3's electric motor is impressively quiet; there's none of the high-pitched whine that you get in, say, the Renault Zoe. 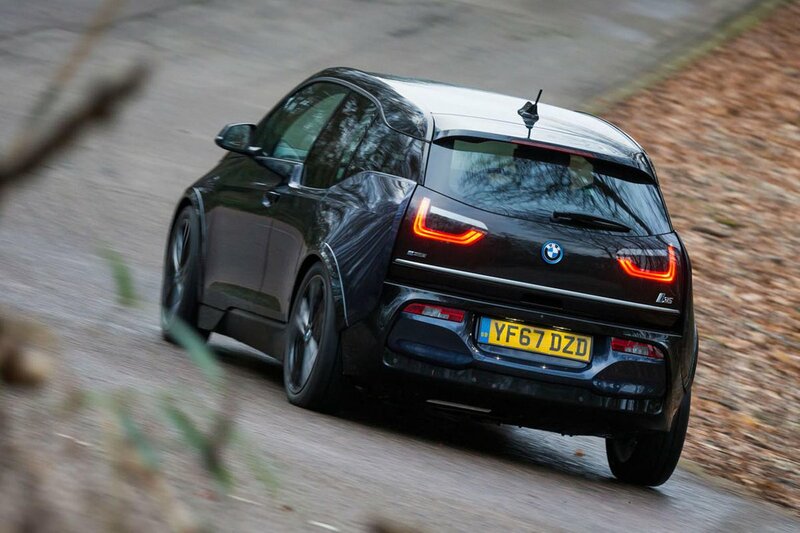 However, its hushed nature leaves you to hear more of the road and suspension noise that the i3's carbonfibre construction struggles to suppress; there's a mixture of rumble and resonance that can become tiring, especially on longer motorway runs. Braking performance is perfectly adequate, but you'll soon learn to drive with a 'single-pedal' technique around town, anticipating when you're going to have to come to a halt and allowing the car's regenerative braking system to slow you down by simply lifting off the accelerator pedal. The happens in a smoother fashion than it does in rivals, such as the Leaf.